Working at Maxx Mail USA isn’t about simply stuffing envelopes and creating mailing solutions for our clients. We are sometimes fortunate to travel the globe, meet with our international clientele, and in the case of my most recent trip to London, see some of the world most beautiful and creative artists and their work. 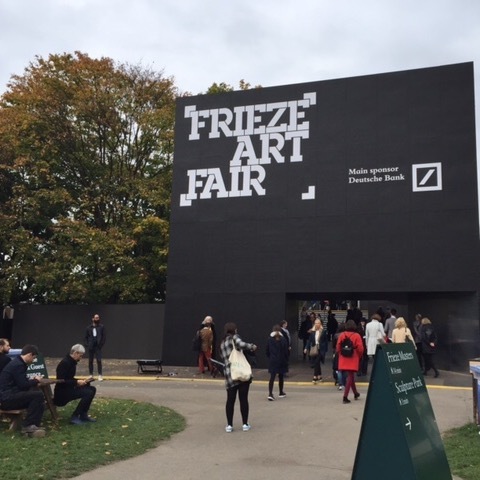 The Frieze Art Fair and Frieze Masters was nothing short of spectacular this year and we are proud to say that more than 15 of our global gallery clients were exhibiting this year. Picking a highlight would be a real challenge but walking in and seeing my good friends from Acquavella Gallery and seeing an amazing Picasso was a great way to start off the fair! I had the great pleasure of chatting with our long time client Bruce Silverstein and taking in his booth filled with remarkable photography. 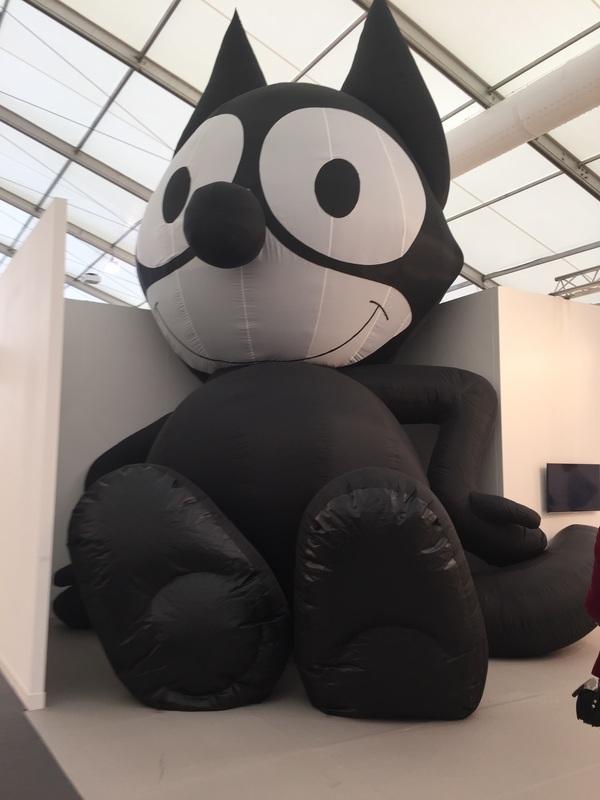 The giant inflatable Felix the Cat was a showstopper at the main show by artist Mark Leckey and presented by Galerie Buchholz. This piece was truly enormous…even probably a little to big for Maxx Mail’s Manhattan office. Perhaps the most talked about work was Cierra by John de Andrea presented by Galerie Perrotin. It was so incredibly life-like that most onlookers debated whether the piece was a real person. 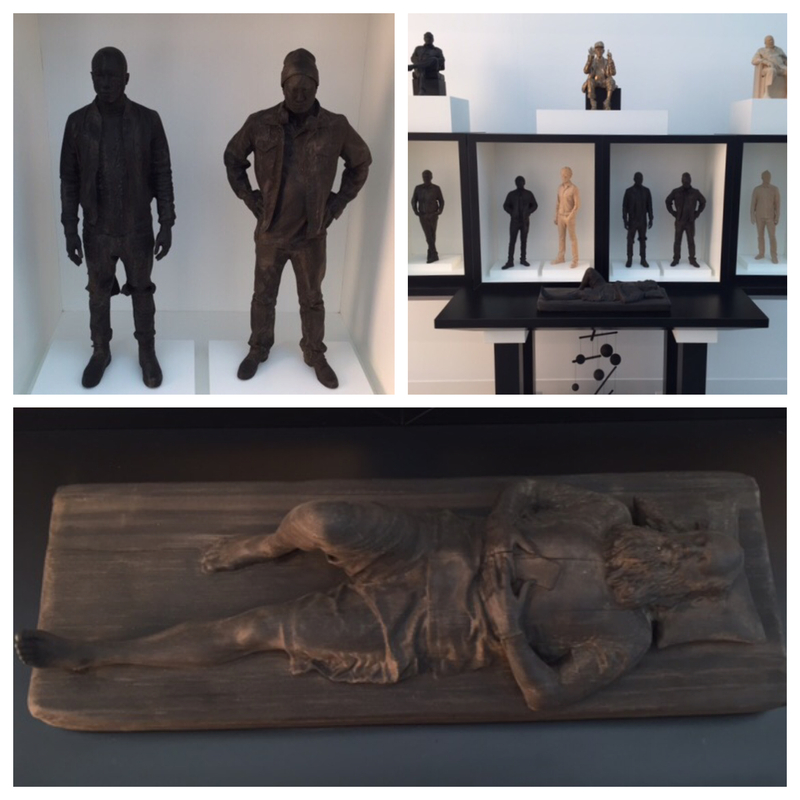 Also, Perotin had an incredible piece titled the Producers Cabinet by artist Xavier Veilhan which featured carvings of world-renowned producers such as Rick Rubin , Pharell and and many more carved from bronze, beech and boxwood. As always, the Mnuchin Gallery booth was amazing and it was great to catch up with our friends at Dominique Levy and David Zwirner. After two long days at the Fair and taking in a few sites in foggy London town, it was back to New York to get ready for another week of art world insanity as the auction season is in full swing and we have thousands of catalogs to process and get to your door step!!! Thank you London…until next year Frieze! Stay connected with us on Facebook, Twitter, and Instagram to see what we are up to next!